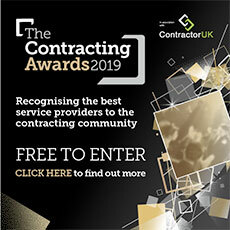 As a recent thread on ContractorUK’s forum shows, IT contractors should not depend on recruiters to provide accurate and clear advice about contracting overseas, such as in Switzerland, even if the agency is behind the placement, writes James Macleod of Capital Consulting. While it is true that Switzerland tightly controls its labour market, it actually has lower tax and social rates than the UK. Moreover, and contrary to what the agent suggested to the ContractorUK reader, UK contractors entering Switzerland can typically offset expenses they incur against their local tax liability in the country. Switzerland has one of the most regulated recruitment markets in Europe. A local authority named SECO governs the placement of permanent employees and fixed-term contractors. Fixed-term contracts where an individual is providing services to a client via a third-party are deemed “labour leasing” and the third parties are required to hold a licence to provide this service, and to operate under a stringent set of rules. Contract workers coming to work in Switzerland via a third-party (recruitment company, consultancy or similar) will need to be supported on a compliant Swiss-based solution. This can either be creating a Swiss company or being run on a Swiss payroll by a licensed third-party. All non-Swiss workers working in Switzerland are required to obtain a work permit prior to starting a contract in Switzerland. The type of work permit will be determined by the duration of the contract, which canton the work will be carried out in, and the personal circumstances of the worker. Residency permits - these apply to individuals that will be living in Switzerland for the duration of the contract. Non resident permits – applicable to crossborder workers and workers that will be leaving Switzerland on a daily or weekly basis. Work permits will cost between 50 CHF (£33) and 100 CHF (£67). This cost is incurred when the permit is applied for and the cost is set by each individual local office (commune/Gemeinde). Clients in Switzerland are very stringent on monitoring foreign workers on site as they carry a risk of fines should they be found to have a worker onsite without the correct authorisation from the local authorities. In spite of recent votes in Switzerland to restrict foreign workers, obtaining a work permit is still a formality for EU nationals; there should be no issues in having a permit granted as long as the correct procedure is followed. Tax rates in Switzerland are some of the lowest in Europe; although rates are set by each canton individually and vary greatly, with typically lower tax rates in the more rural areas of the country. Tax is calculated based then on level of income and also takes into consideration marital status, dependent children and, in some cantons, religious practice. Local workers or expatriate workers who have been in the country for more than five years are responsible for the payment of their personal income tax. Individuals that do not hold a C permit or Swiss nationality have tax deducted at source by their employer and are paid a true net salary after all deductions. Expenses that are incurred by individuals coming into the country for work can typically be offset against their local tax liability. Each canton has their own rules as to what can be deducted. In the majority of cantons the standard deductions are limited to secondary accommodation and travel costs to and from the worker’s principal home location. Local tax authorities can grant expenses dispensations to employers to benefit their employees without justification. All workers in Switzerland are required to obtain a local Swiss health insurance policy within 90 days of arriving in the country. The policy will be backdated to the point of entry to the country or the date you were declared to the Swiss authorities. The costs of insurance will depend on personal circumstances and the level of coverage required much like any health insurance policy. On average the cost of a basic coverage should be in the region of 250.00 CHF per month. The cost of living in Switzerland is higher than the UK in general, however comparing costs in locations such as London and the south east of England sees the gap narrow much more. Switzerland protects Swiss industry across the spectrum, with a focus on Swiss produce at the forefront in shops and restaurants. As a result, the cost of food is much higher than in the UK where the market is less protected. The Swiss contract market is certainly continuing on the upward trend that has been seen over the past few years, with investment from large pharmaceutical companies creating large projects with positions opening for contractors of all industries. This is partly why in March we selected it as one of the overseas ‘hotspots’ of 2014 for IT and other contractors. Today, lower tax and social rates still make Switzerland an extremely attractive location for UK contractors looking to step into international contracting, thanks to its very ‘Swiss-reliable’ contracting system. The author, James Macleod, works at Capital Consulting, which provides international management company services, assistance with payroll support and effective tax management for UK contractors working in South America, South Africa and Europe.